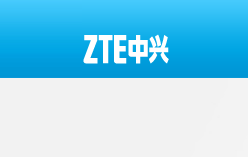 ZTE confirmed the receipt of orders from China Mobile for GPON equipment in the operator’s annual tender. Financial terms were not disclosed. ZTE was one of only three successful vendors in China Mobile’s tender for more than 614,000 ONUs (Optical Network Unit) and over 3,000 OLTs (Optical Line Terminal). The other winning bidders were Alcatel-Lucent Shanghai Bell and FiberHome.